The Third World Congress of Scottish Literatures will be held at Charles University in Prague, Czech Republic, on 24-28 June 2020. The venue of the Congress is renowned for its rich history shaped by numerous influences of minority cultures as well as by the more than three centuries of the supremacy of the multinational Austrian Empire. 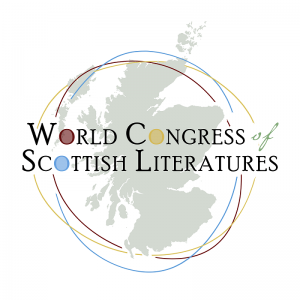 The Congress’s main theme, “Transnationalism and Minor Cultures”, invokes the crucial importance of transcultural communication, migration and social interconnectivity for the development of Scottish literatures. It also points out the significance of internal diversity and hybridity on the shaping of Scottish, European and global literary contexts and cultural awareness. Proposals for pre-organized panels on these themes are welcome, and should be submitted with a list of agreed participants and their abstracts and affiliations, by the deadline for proposal submissions. In keeping with the Congress’s focus on dialogue and in order to maximize discussion and participation, panel organizers are encouraged to explore alternatives to the traditional format of three to four papers, such as workshops or roundtables. We extend a special welcome to graduate and postgraduate students, who may either submit proposals for traditional papers or (if they do not feel ready for a full paper yet) for presenting their project in the form of a poster or multimedia presentation (incl. slide-supported talks, videos, short films etc.) in an informal ‘work in progress’ section where they can gain feedback from other scholars present. PhD students are also invited to attend an informal get together and networking event on the first day of the Congress. Proposals for papers, posters and presentations should include an abstract of c. 200 words, including affiliation. Please send submissions to the Congress Secretary, Petra Johana Poncarová, at PetraJohana.Poncarova@ff.cuni.cz.